May 1st, 2011, was the enforcement date of the side wall building practices in support of enhanced fire protection. These changes included exterior protection (side yards only) of the exterior sheeting to the specification of S101 - 15 minute thermal barrier. The other significant change was side yard windows, which could not be placed at the builder's discretion. These windows needed to be orientated to the neighbour's residence so that the windows would not be opposite each other. As you can imagine, the administration of this proposal would be extremely difficult. The basic reasoning for this new regulation on windows was the concern of fire moving from one building to another through the window openings. With this information, the question was asked: "if it could be proven that windows that were opposite each other (at 2.4 meters of separation) would not spread the fire, could the code requirements be amended with a variance?" The answer this question, by the City of Edmonton. was 'yes'. CHBA-Edmonton then proceeded forward in arranging wall/window assembly fire testing. The two story wall assembly was protected, on the exterior, with the S101 - 15 minute thermal barrier (Type X Gypsum). The window used was a triple glazed metal clad wood casement. The roof assemble was constructed with an 18" overhang and protected with non-vented soffit. Testing proceeded in San Antonio, Texas at the testing facility of Intertek, an international testing company. Results from the testing have proven very positive and the City of Edmonton is currently revising its new code policy as it relates to the side yard windows. Side yard windows are regulated as per the building code. Side yard wall sheeting is to be protected, on the exterior face, to the S101 rating. Non-vented soffit is to be used in the side yard area. Side yard windows may be installed as per building code except that the windows must be Metal Clad Wood Casement with Triple Glazing and Low "E", Argon filled. The maximum width of the window is limited to 48" or a basement window 60" x 24". The maximum area of the window is limited to 1920 square inches (48" x 40"). A variance will be required for the use of side yard windows. These enhancements have been achieved through the collaboration of builders working together with City of Edmonton building officials and fire department. 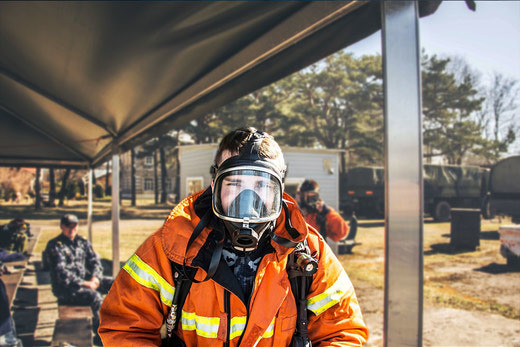 By following the links below, you will be able to access the sample variance letter prepared by the City of Edmonton, the current 10-minute perimeter around the City of Edmonton (updated 2016), and the Intertek Fire Testing Report. While the Report is available to all, builders or renovators intending to use its findings in support of their variance letters will be required to pay a fee per permit to the CHBA-ER in order that the Association recuperate the costs of conducting the testing. The City will require that proof of payment for report use, in the form of a copy of the receipt issued by CHBA-ER, accompany all variance applications. For further information, the City of Edmonton, Director, Safety Codes, Permits and Inspections 780-944-1227. The Interik Final Text Report is being provided for Information Purposes only. Use of this report for any purpose, requires the express consent of CHBA-ER. The City of Edmonton will require Proof Of Payment (copy of receipt) from the CHBA-ER to be attached to all Requests For Variance for use of this Report in support of each Request For Variance. For further information regarding Requests For Variance contact Chad Rich, Director Safety Code Permits and Inspections, City of Edmonton at 780-944-1227. For those companies wishing to purchase multiple Side Wall Fire Protection Testing Licenses, subsequent to a bulk online purchase, the CHBA-ER will issue receipts for each license as subsets of the original receipt number (e.g., for a purchase of 10 bulk licenses under receipt #21, CHBA-ER will forward 10 PDF license receipts numbered 21.1 to 21.10 to the applicant company, each of which must be submitted with their respective Variance Application to the City of Edmonton). The City of Edmonton will require Proof Of Payment (copy of receipt) from the CHBA-ER be attached to all Requests For Variance for use of this Report in support of each Request For Variance.